More years ago than I’d care to admit, I took a software engineering course as part of my graduate CS program. At the time, I worked a full-time job during the day and did remote classes in the evening. As a result, I disproportionately valued classes with applicability to my job. And this class offered plenty of that. We scratched the surface on such diverse topics as agile methodologies, automated testing, cost of code ownership, and more. But I found myself perhaps most interested by the dive we did into refactoring. The idea of reworking the internal structure of code while preserving inputs and outputs is a surprisingly complex one. In 2016, implemented automated refactorings still present a challenge. But modern tool and IDE vendors can stand on the shoulders of giants, so to speak. Back then? Not so much. It brings a chuckle, but it also brings an underlying point. In many situations, monitoring alone can prove woefully ineffective, prompting frustration. As a former manager and current consultant, I generally advise people that they should only point out problems when they have also prepared proposed solutions. It can mean the difference between complaining and solving. Going back to the subject of software development, we see this dynamic in a number of places. The compiler, the IDE, productivity add-ins, static analysis tools, and linting utilities all offer us warnings to heed. There are a number of such tools out there, including CodeIt.Right. Using tools like this is a pleasure because it removes the burden of research and implementation from you. Well, you can always do the research if you want, but at your own leisure. But it’s much better to do research at your leisure than when you’re trying to accomplish something else. 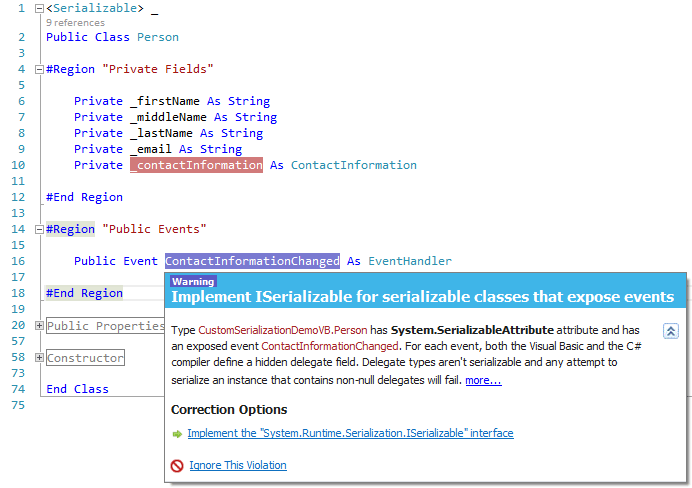 SubMain offers CodeIt.Right that easily integrates into Visual Studio for flexible and intuitive “We’ve noticed a problem, and you can click here to fix it.” solution.